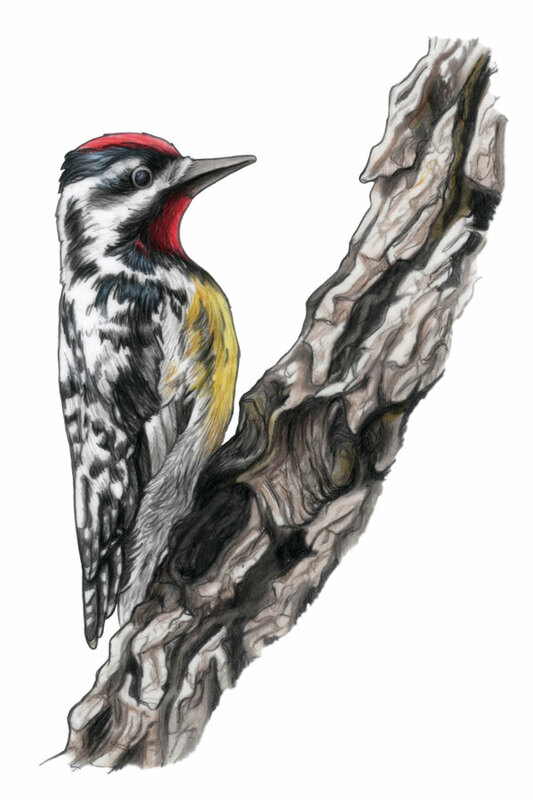 Yellow-bellied sapsuckers are common residents of eastern North America. They spend summers in Canada and the northern US, and migrate to Mexico and the southeastern US in the winter. They get their name from their diet: tree sap and the insects that are drawn to it.